Spiritual Moms dig the baptisms of their children. 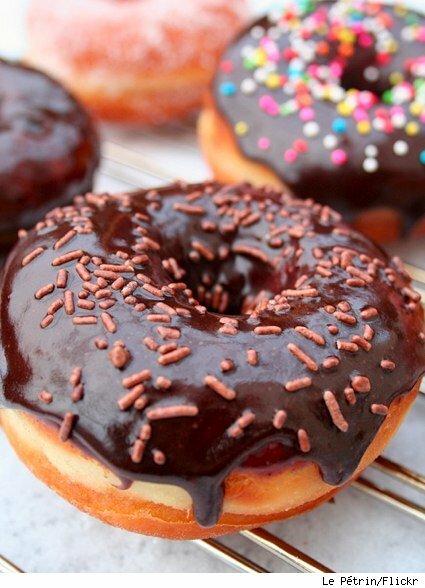 Whether they favor dunking or sprinkling (doughnut anyone? ), matters not as much as whether they are true to their role in the baptism. It is as important for a Spiritual Mom to lead their child TO baptism as it is to remind their children OF their baptism. The LEADING TO part is pretty exciting, right? I think most moms who favor sprinkling would agree that it’s an amazing thing to stand there, cradling their child, promising with their family and the rest of the church to raise them up in the way of the Lord. I also think that most moms who favor dunking would agree that it is an amazing thing to stand there, watching their child promise to follow the Lord along with the support of their family and church community. The REMINDING OF part of your child's baptism is, perhaps, not as exciting. It may even be a bit more work. However, a Spiritual Mom makes a vow to remind their child of their baptism. They are witnesses of their child’s baptism for more than entertainment purposes. They are promising God and God’s people that they will continue to nurture their child into fully engaged Christ-followers. This kind of promise is a commitment. It takes stick-to-it-iveness. It takes ownership. If a Spiritual Mom is not praying, reading the word, and walking the walk of a fully-devoted follower of Christ…neither will her child be. She knows this. She also knows that she must actively care for her child’s faith as much as she does her child’s..
…and Happiness (The JOY of the Lord is firstly and more importantly sought, preceding the joys of the world). Are you a Spiritual Mom? What are you doing to keep your vow? What have you done to remind your child of their baptism lately? Remember that whether you dunked or sprinkled your kid, your vow to them post-baptism is the same. Go ahead, sink your teeth into this journey. A bite into something so decadent is going to cost you, but it will be even sweeter than you imagined.